Utah is an amazing state! With so many offers! You will learn about fun places to visit, state facts, resources, and land forms! Oh there will be a conclusion too! I hope you learn more about the Bee Hive state, and I hope you go there too! Utah has many fun places to visit such as Clark Planetarium and Timpanogos Mountain! Clark Planetarium has a lot to do. There is one thing where the ceiling is a giant movie screen and watch a 45 minute video. And there is one video where you kind of visit other planets such as, Mercury, Saturn, Uranus, and Jupiter. The other planets are in a different video! Sorry. It is located in Salt Lake City! Ya!!!! Timpanogos Mountain is very interesting. This mountain is where we get all of our minerals in Utah! There is also a cave in the Timpanogos Mountain called Timp Cave! But I am not telling you everything about the cave you have to go there!!!!!!!!!!!!!!!!! Then you will know. 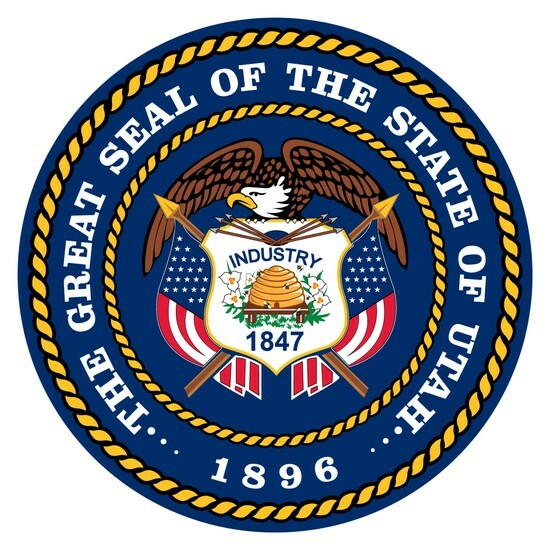 Utah has many interesting facts such as, the capital, the population, the state bird, and last but not least the state tree. The state capital is Salt Lake City! Did you know the Mormon Pioneers came from the city of Nauvoo to Salt Lake City? The population is 3,000,000 people? You would think that is a lot of people. But some other states have triple as many people as Utah does! So it is actually pretty small! The state bird is the Seagull. Did you know the reason that the Seagull is the state bird is because back in the day when people were farming, a huge pack of grass hoppers came and ate half of there crops! But the reason it was only half was because the Seagulls came and ate all the grass hoppers. So that saved a bunch of lives! Is that cool or what?! 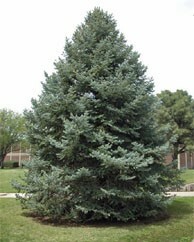 The state tree is the Blue Spruce. 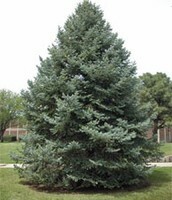 Did you know that the Blue Spruce can grow up to 200 ft tall!? And people plant it in there back yard! Weird, huh? These are just a few of the Utah state facts. Utah has some resources such as crops, apple trees, corn fields, and last but not least carrot fields. Did you know that if you drive a long way around the border of the state you will pass a field of food and crops? Did you know corn in Utah can be up to ten feet tall? 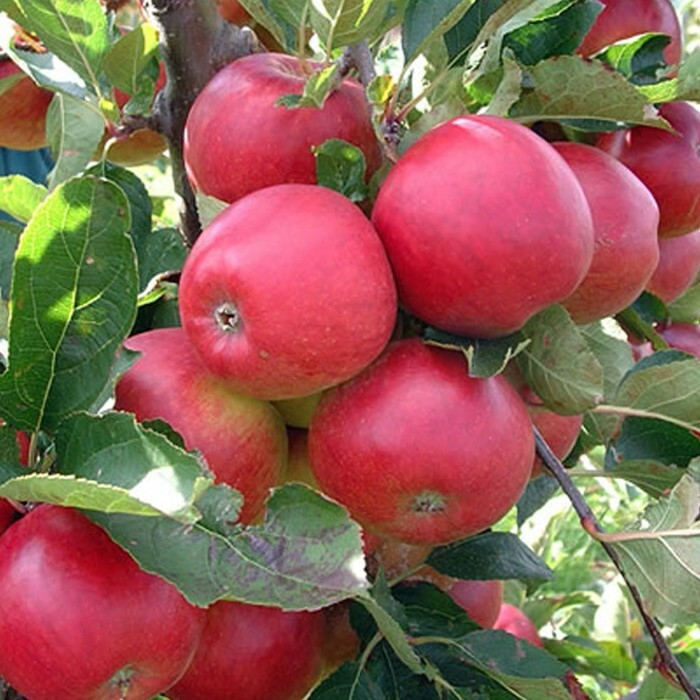 Utah grows mostly all Granny Smith apples! Carrot fields have 150 carrots in one field! That is just an estimate. He He! You would think that is a lot of carrots. But that is really the smallest amount of carrots in one field. I think! Utah has many interesting land forms. 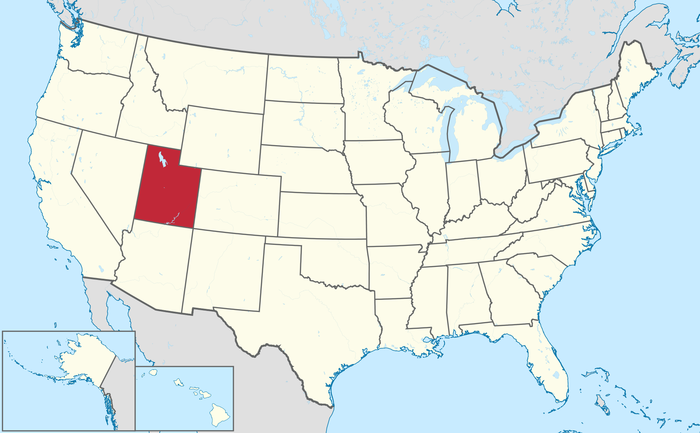 Utah is located in the western part if the United States. In Utah there is a mountain called Timpanogos Mountain. That is where we get most of our minerals in Utah. 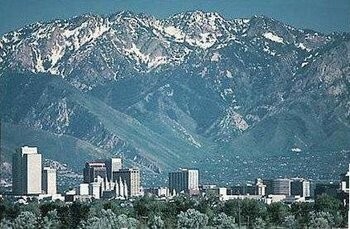 Did you know Utah is surrounded by mountains? Because of that, mountains form a bubble in the air at the top of all the mountains. And traps the air we use OH NO!!!! so some of the pollution from cars goes in the air and makes the air all smoggy! So all the family's have to stay inside and wate till it rains so the rain drops can pop the bubble! Utah has a lake called salt lake it is the biggest salty lake in north america! Sometimes you see cat fish or fish as big as a great white shark! It is 500 miles all around the entire lake! Did you know that all the canyons have a river that go zig zag around the road? I always think small snake river! In the summers in the canyons there is a water fall and in the winters it looks like the frozen water fall is now a big diamond! and in the canyons its all green with Gardner snakes eeeeeeeeeeeeew! i hope i can visit the the bee hive state again! This is a carrot from Utah! Utah is an amazing state place to visit! I have told you about ,fun places to visit, state facts, resources, and land forms..
i hope you learned a lot about the bee hive state and hope you can go there some time in your life.